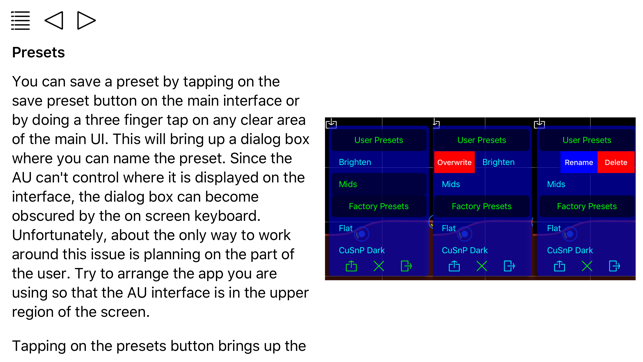 LRC5 is an Audio Unit, or AU, for iOS. This application is simply a container for the Audio Unit and serves only as the documentation. 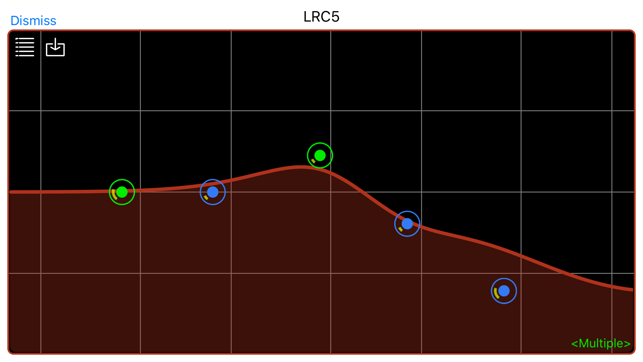 LRC5 must be used in some sort of Audio Unit host or DAW application. LRC5 is a five-band EQ. It includes low shelf, high shelf, and three parametric peak/cut filters. The filters can boost or cut by 24 dB. The frequency range for each of the filters is 10 Hz to 20 kHz. The filters aren't restricted to stay in any order. If a filter is set to a level of 0.0 dB it is turned off. You can also set the "Q" factor of each of the filters. The value ranges from 0.0 to 1.0. 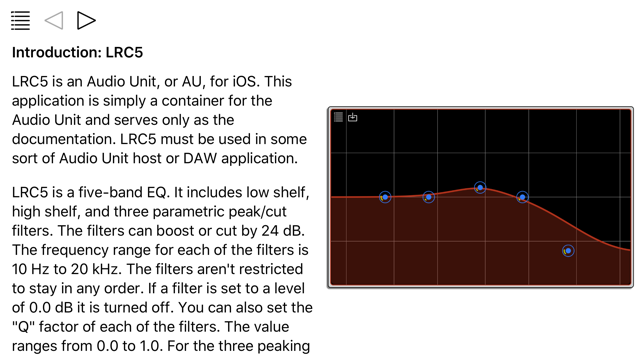 For the three peaking filters, a value of 1.0 gives a fairly narrow frequency band, but LRC5 isn't really designed for surgical frequency work. It is aimed primarily at coloring of the signal. 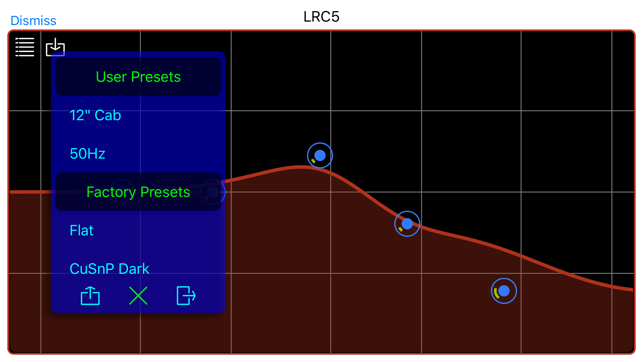 LRC5 can be used in a mono-to-mono or stereo-to-stereo setting. Actually, it is only restricted to having the same number of input and output channels. The channels aren't independent. The controls and settings are applied the same to all channels. Editing of the control parameters is a bit different than is typical for an EQ. The intention is for it to be comfortable to use on a touch based interface. 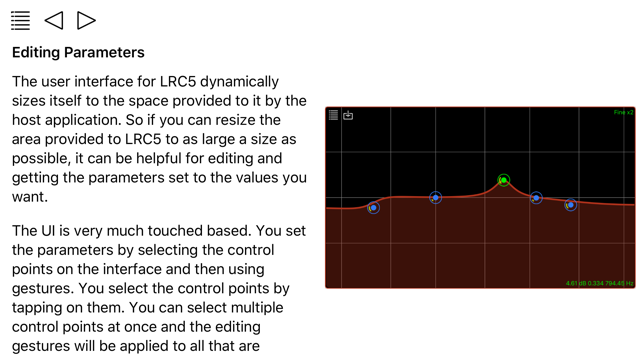 Please refer to the documentation in this App to learn how to control LRC5.